Situated on Carlisle Citadel railway station Platform 4. The high-arched Grade II listed building has served a number of purposes including being the Station Buffet in the 1950s and features much of the fabric of the old building and other railway heritage with the original stone fireplaces. 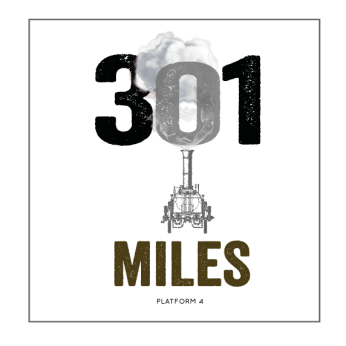 Named 301 Miles From London - based on Carlisle folklore which claims that is the distance from the capital, although it's actually thought to be 299 miles. A beautiful mahogany bar serving six real ales from mainly local breweries. NOTE Early closing time which could be even earlier if station closes. Cheaper ales on Mondays.